BRAND NEW! 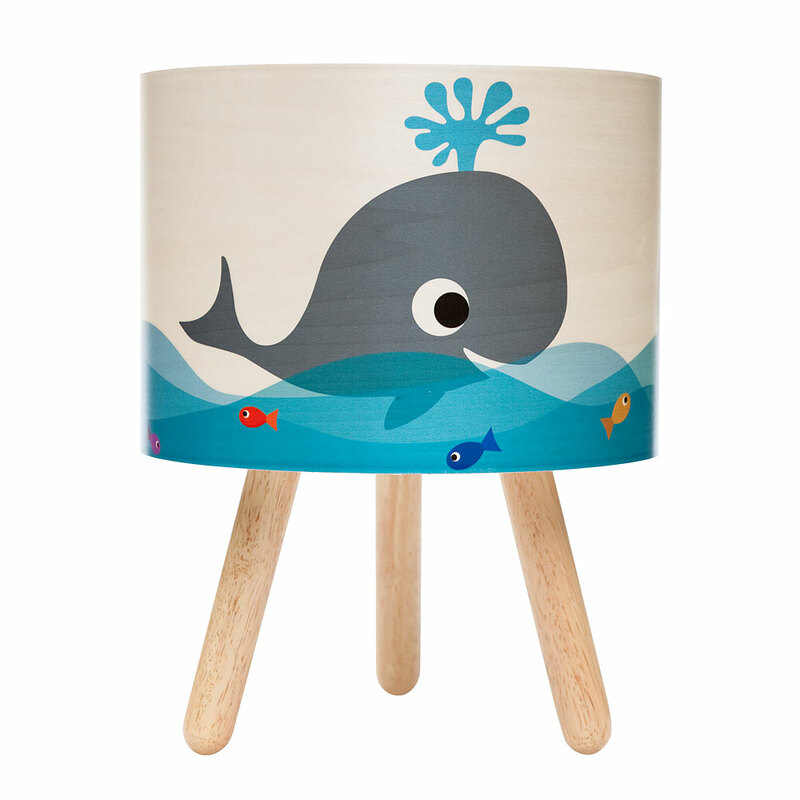 The adorable Whale Lamp has arrived! Your child will be delighted by this beautifully made timber lamp with cheerful whales swimming in the clear blue waves of the ocean. This is a new style of lampshade for Sydney designers, Micky & Stevie. The playful image has been printed onto a pale-coloured timber veneer shade. The vibrant colours are a little translucent, creating a wonderful effect - especially with the overlapping blue waves, and you can also see the subtle texture of the woodgrain through the paint. * Whale Timber Table Lamp ships as a large parcel and does not qualify for FREE SHIPPING offers.